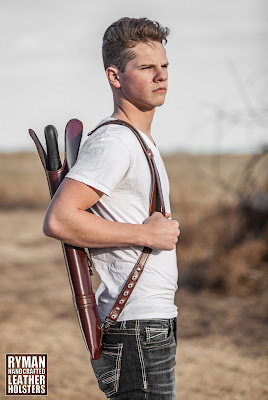 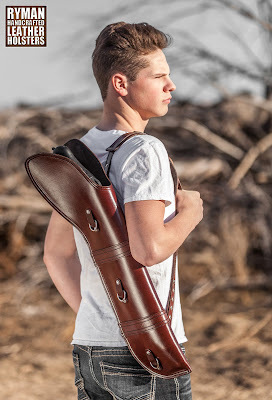 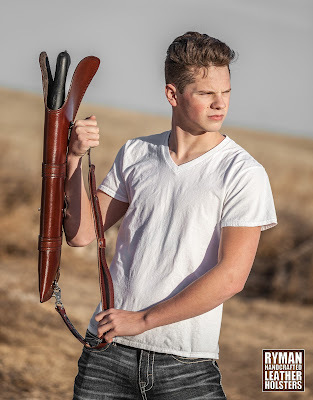 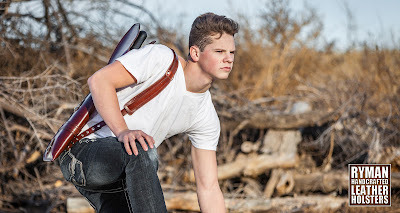 This is my son showing off a new Shockwave custom scabbard in brown leather/brown suede interior with matching shoulder strap. 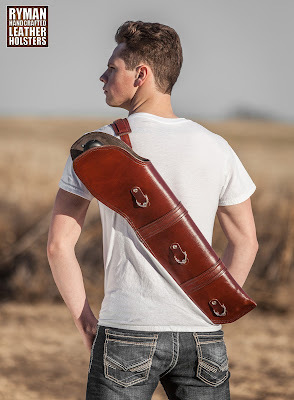 It's made from genuine American Hermann Oak Leather. 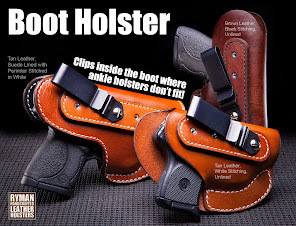 The interior is completely lined with a super soft chap suede to protect your Shockwave. 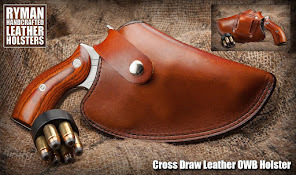 The optional d-ring mounts on the outside are secured with mechanical fasteners, not rivets) The mounting hardware is embedded inside the leather shell and does not contact the firearm. 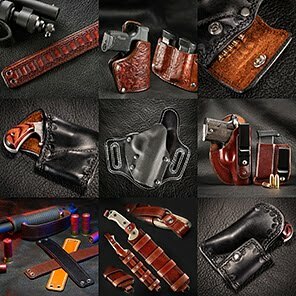 The optional d-rings (6 total) are removable leaving a leather strap slot for horizontal lashing options. 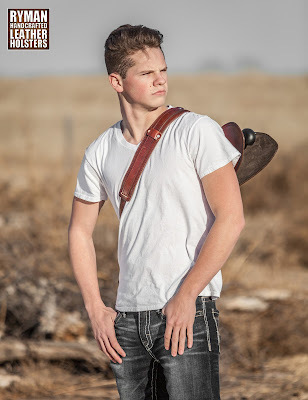 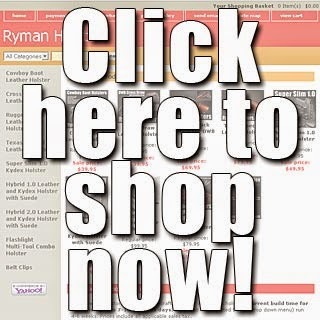 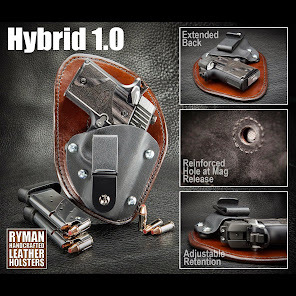 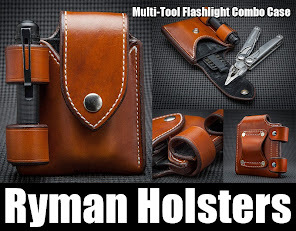 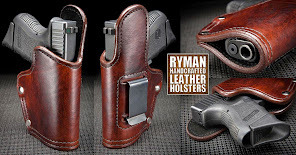 www.RymanHolsters.com.